Co-ops and the cooperative model more broadly should have a larger presence in the business school classroom. 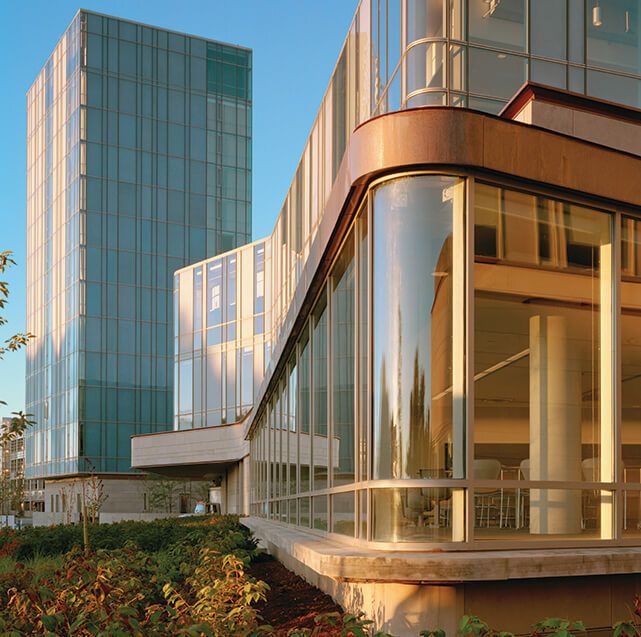 The Schulich School of Business complex at York University in Toronto, Ontario is home to one of the most influential academic institutes dedicated to triple-bottom-line thinking. I am writing this from the annual Academy of Management conference in Philadelphia, the largest gathering of management scholars in the world. Yet a search of the word “cooperatives” on the conference website delivers zero hits out of the 20,000 papers presented at the meeting. Why has business school research and teaching largely ignored co-ops? The answer to this question is part historical, part ideological. Historically, the contemporary business school has grown with the modern shareholder-governed business corporation. As such, business education has always been focused around educating professionals who are interested in a career in these particular organizations. It is the large corporation in which, over the last century, management has become a profession and the MBA degree the ultimate certificate of being a member of this profession. Consequently, business education has focused on those large corporations at the neglect of other forms of business organization, such as cooperatives. That neglect, by the way, has also been palpable with regard to small-and medium-sized enterprises and not-for-profit organizations. Beyond this historical explanation there is also an ideological reason for this bias. Certainly since the 1970s, with the rise of what today is often referred to as “neoliberal” thinking, business schools by and large have bought into a view of the firm as an organization whose only purpose is the maximization of its shareholders’ wealth. Making investors wealthy is still the main game in town. This, of course, is fundamentally opposed to the idea of a cooperative, where the main purpose is to achieve some social goals while at the same time using collaboration as an approach to improve the lot of all people involved in the business. Cooperatives are based on the assumption that working together as producers, employees and investors (often in the same person) will make everybody better off. Cooperatives represent a “stakeholder view” of the firm, where the purpose of the firm is not just to enrich investors or shareholders but to operate as a social venture that serves the interests and purposes of multiple communities. 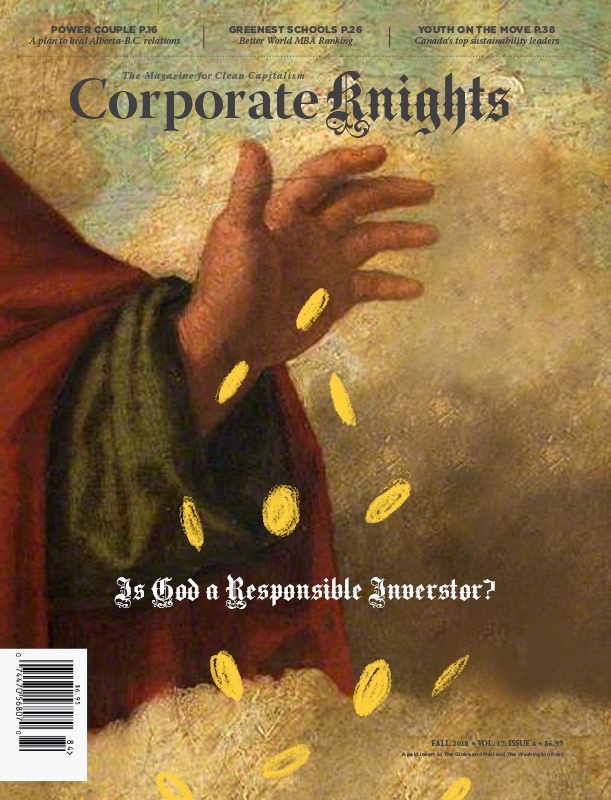 On that note, then, having an issue of Corporate Knights focusing on cooperatives is a timely venture. Certainly after the financial crisis of 2008 we have seen some serious navel gazing in the business community. No less than Dominic Barton, global managing director of McKinsey, and Harvard strategy guru Michael Porter have raised their voices to actively think about a different approach to doing business. Seeing business as just extracting value for one single constituency is just not working – it’s not sustainable. The debate on alternative forms of organizing and governing businesses is in full swing. Cooperatives are just one example. Looking at countries such as Italy, Spain or Switzerland shows that cooperatives can actually be a major player in the economy. And a profitable option, too. Migros, the Swiss cooperative retail chain, is a major multinational player in many markets. And a lot of our super-elite Italian fashion gadgets are produced by cooperatives. It is time to move beyond the shareholder-dominated view of the firm. Business has always been about creating goods and services that address social needs – or, more simply put, stuff that real people need. Cooperatives are a unique example of how people in a specific situation come together, “cooperate” and collectively create value for all involved. We should be thinking more creatively about this form of organizing business – and it should definitely play a larger role in the classroom.